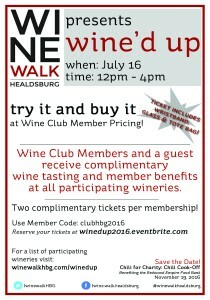 Wine Walk Healdsburg is proud to present the annual Wine’d Up event on July 16th from 12:00 – 4:00 PM. Clubmueller members and a guest receive complimentary admission to this fabulous event. 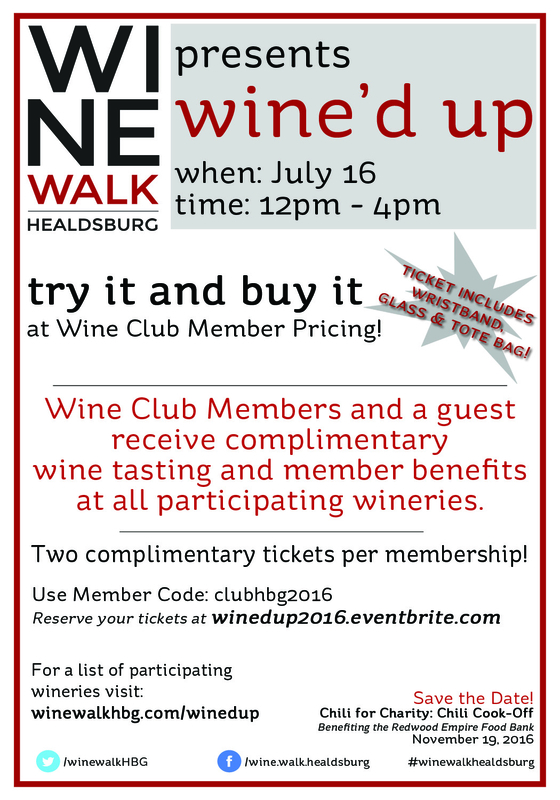 Over 25 Downtown Healdsburg wineries are opening their doors to you for wine tasting and extending club member benefits for the day. Here’s the scoop! Just go to www.winedup2016.eventbrite.com for tickets!